Microcontroller direct sound headset for quick access for voice and control over it. quick control speaker volume through the controller located on the length of the wire. 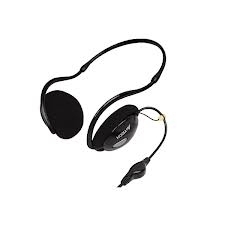 Other feature Sleek Behind-the-Neck Design---Ultra-Light Weight for Powerful Sound and Comfortable Listening on the Move.